Twenty-seven years as an aerial applicator provides an historical perspective each spring for Rich Sigurdson, Olivia, MN. For cantankerous 2011 he simply responded, "This spring brought in a little more work than normal. This is the latest for putting crops in the ground since I've been in the business." But he's picking up time thanks to his new hangar. It sports Schweiss bifold doors on each end! When he lands for a refill, he taxis his Air Tractor directly into the hangar. Staying in the cockpit with engine running, his 2-man crew quickly (less than 3 minutes) refills. He taxis out the other end and is airborne again in less than 5 minutes! "Sigurdson's Air Tractor" impressive spray operation! Piloting his Air Tractor (that's the actual name) at 140 mph and with a 64' swath, he's covering up to 200 acres per hour depending upon the product being applied and the crop below his wings. 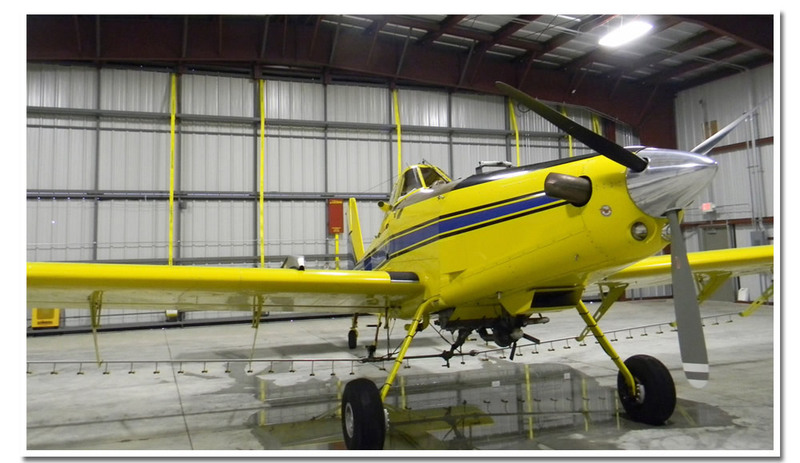 Like all aerial applicators, Sigurdson is a quick read of trends in crop spraying, like the growing use of fungicides as a 'protectant' product. "We're seeing a big interest in fungicides on corn over the last couple of years. We've been pretty steady on soybean aphids the past half-dozen or so years." His Air Tractor 502B is turbine powered and has a 500-gallon product tank. At a two-gallon application rate, 250-acres per refill is the arithmetic. And that's important in aerial application work when time is critical, especially considering the winds of Minnesota. Wind speeds over 18-20 mph and aerial applications shut down. Generally, lower gallon rates apply to most herbicides; higher rates (up to 5 gallon/ac) with some of the fungicides. His take on 2011 crop season? "Tremendously sporadic so far but that too should level out. When things get in late some farmers get reluctant to do the crop work because they reason there'll be a lesser crop so they think spend less money. I read that just the opposite. If you think you'll have a shorter crop then do whatever is needed to maximize that crop," reasoned Sigurdson. 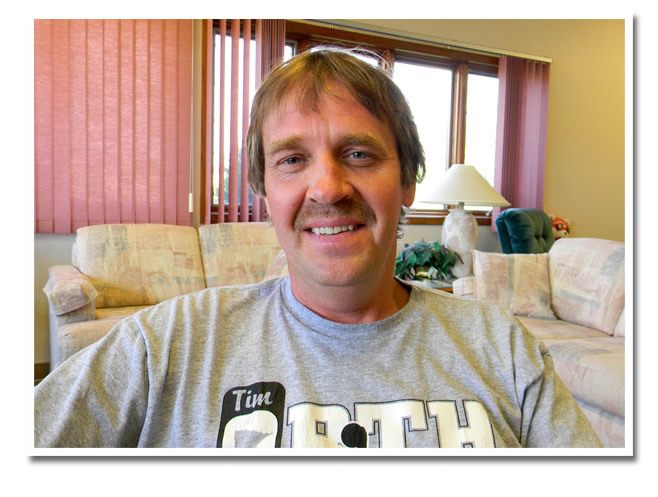 He's one of almost 150 licensed aerial applicators in Minnesota. He started as a 19-year old. Two local college kids are working with him this season. Their task is mixing the various products, precisely loading the right amount of each product for each refill, keeping the loading pad clean, and restocking new chemicals as needed. Spray planes are expensive. A new Air Tractor costs about $800,000! "But smaller and less costly airplanes are also available. It's where I was several years back and that's okay for getting a start. Insurance is the bug-a-boo. Very expensive, like several thousand dollars per year for my rig. And often a first-year pilot can't even get insurance. The Man behind the operation! "Today technology is big time, especially with GPS providing precise swath patterns plus guiding us from field to field and back to the hangar; also adjustable flow rates depending on the product. Plus planes are simply stronger and better than they used to be." Sigurdson is big on turbine power. "When turbines came into the market for us aerial applicators, it was a huge step forward. The reliability factor is so much more than with a piston-powered plane. I've flown Air Tractors now for about 20 years. I think they make the best spray plane in the market. Plus they haul more; they get you to your target fields quicker. We all remember those earlier days with smaller planes when we'd use the nearest road for reloading; only 65-80 gallon tanks too." Another advantage of the turbine is less frequent downtime and no set schedule for 'majors.' "About every 1200 hours we break the engine down and look at the components. That's called a 'hot section'inspection and you replace only what's needed." Time is money but Taxi-Through hangar pays dividends. 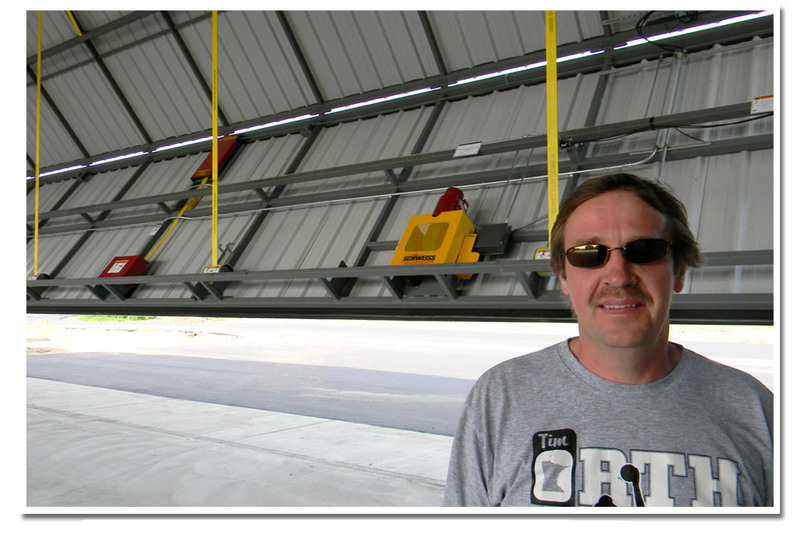 Sigurdson's value of time is very evident with his new 60' x 80' 'taxi through' hangar. It features 20' x 65' wide Schweiss Bifold doors on both ends! "It's a matter of time. When coming in for a refill, I taxi directly into the hangar through the west door. My guys do the refill in three minutes or less. I taxi out the east door and am airborne again in about five minutes. That was the reason for Bifolds on both ends. In essence I've got a drive-through load facility." Why Schweiss hangar doors? "I think they make the best hangar doors in America. These doors are strong, maintenance free, quiet, and totally dependable regardless the weather. That bifold design is a winner in every way you measure doors. 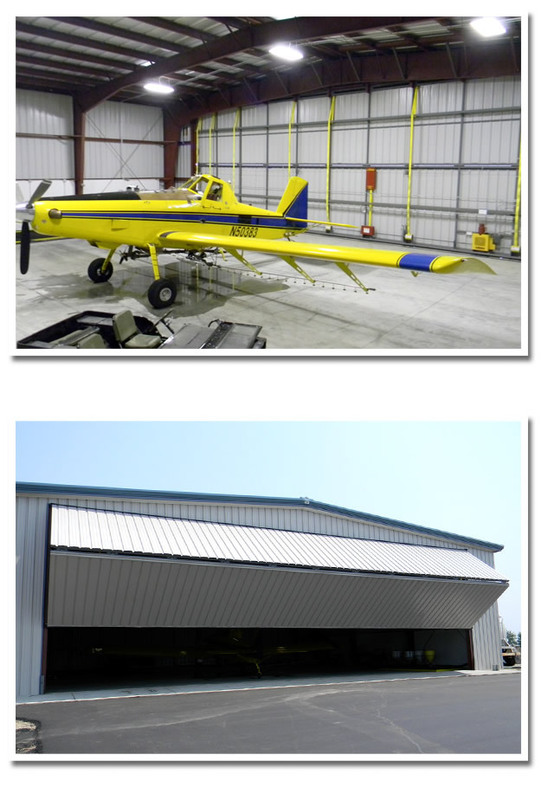 We've got a 60' bifold on our main hangar; 12 years since the installation without a single problem." Being an aerial applicator in Renville County does indeed present some advantages. It's a big county with nearly 600,000 crop acres and it perennially leads the state in corn, soybeans and canning crops plus ranking in the top five in sugar beet acres. "I'm fortunate to be positioned where I am. This is some of the best farm country in the state with a bunch of good, innovative growers also. I've been here 20 years with good crop application work every year," assessed Sigurdson, adding that he has a tremendously loyal customer base too. Acknowledging the hazards of his profession, Sigurdson admits to crash-landing twice due to engine failure. Fortunately no bodily damage from either incident. Unique, One of a kind drive-through hangar. Load and ready to take off within five minutes! An aerial applicator must meet federal and state requirements both for flying skills and for the safe handling of chemicals. Aerial applicators must have a commercial pilot license as well as a letter of competency to work as an agricultural pilot. Overseen by the Minnesota Department of Agriculture, Minnesota has some of the strongest laws in the Nation governing for agricultural aviation. A licensed applicator must attend 12 hours of continued education classes each year to stay current on new products, application usage of these products plus any new rules and regulations. Aerial applicator are required by law to keep detailed records of every application and make those records available to MDA inspectors as well as veterinarians and health professional throughout the state.